Each step along the way with the building requires so many little steps before, and after. At first glance, why not just slap up some plaster onto those fancy block walls and call it good? Yes, we could, but I've found that once I delve into finish details, the details matter more. If I become unattentive, the final result will be less than desirable. Install an exterior windowsill, that is held in place by metal straps that come inside the house. Pour a little cement and sand on the sill to level it. 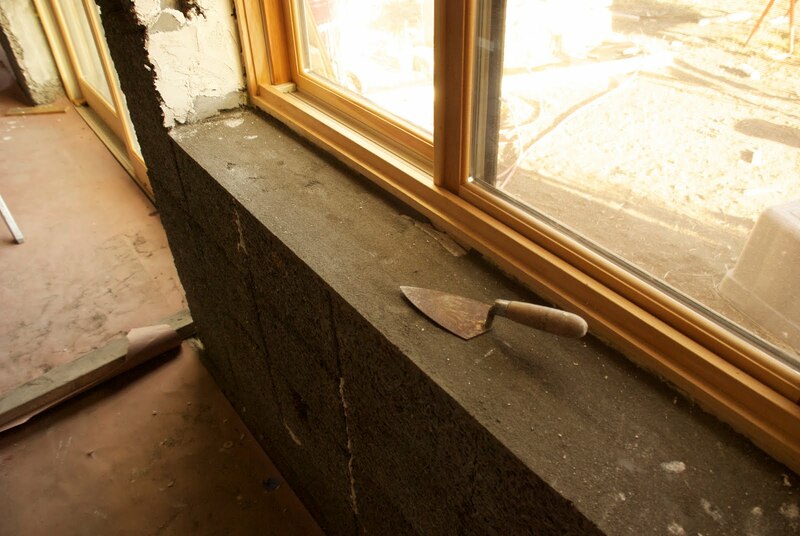 Install wood windowsills (or in the kitchen window, tile). Apply expanded metal lath over all gaps that can't hold their own plaster. Apply lath to the top inside of the window wells. (Plaster can't stick upsidedown onto insulation). 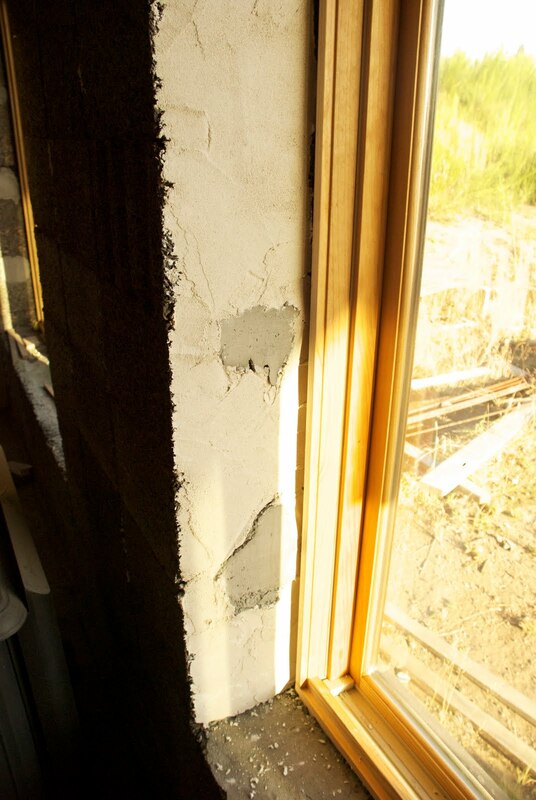 Build out structolite plaster on the sides of window wells where concrete protrudes from the walls. Fill in any gaps and holes that can't be filled with one coat of plaster. After AAAAALLLL that, then we are ready for our first basecoat of plaster across the whole wall. Then we really start to cook! Then, it's a few hours for one coat, and another few hours for a second coat, and then, we're ready for finish plaster. This is what I'm working on this week. Getting things prepared for large swaths of plaster...I'll keep updating. It's fun work.